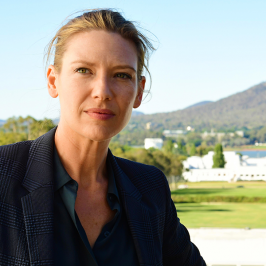 Foxtel and Matchbox Pictures are excited to announce the outstanding ensemble cast for Secret City: Under the Eagle, a six part high stakes political thriller in production for its second season being shot on location in the national capital, Canberra and currently being shot in Sydney. Joining the cast line-up for Secret City: Under the Eagle are Logie Award winning actor Don Hany (Ali’s Wedding, Tangle) who plays Australian Prime Minister Ewan Garrity and veteran actor Andrew MacFarlane (Glitch, Devil’s Playground) who plays Air Chief Marshall Wes Lockwood. Adding to the impressive line-up are Joel Tobeck (Lord of The Rings, The Doctor Blake Mysteries) who plays Defence Minister Jim Hellier, Christopher Kirby (Star Wars: Episode III- Revenge of the Sith, The Matrix Reloaded) who plays US Ambassador to Australia, Kip Buchanan, Tom Wren (Winners & Losers, Paradise Pictures) who plays Energy Lobbyist Alex Berezin and Laura Gordon (Hoges, Hunters) as Drone pilot Caroline Treloar. They join the stellar cast who have previously been announced including lead Anna Torv (Fringe, Mindhunter) who won the Logie Award ‘Most Outstanding Actress’ for her role as Harriet Dunkley in the first series, Two time Academy Award nominee Jacki Weaver (Animal Kingdom, Silver Linings Playbook), Danielle Cormack (Wentworth, Rake, Underbelly Razor), Rob Collins (The Wrong Girl, Cleverman), Sacha Horler (The Dressmaker, The Kettering Incident), Marcus Graham (Janet King, Crownies) and Justin Smith (Devil’s Playground, Deadline Gallipoli). Secret City: Under the Eagle picks up with Harriet Dunkley (Torv), not long out of prison and who is unwittingly ensnared in a military and political cover-up with Catriona Bailey’s (Weaver) fingerprints all over it. Harriet’s search for the truth leads her back into Canberra’s corridors of power, this time working for a maverick Independent MP (Cormack). What she unearths is a military program so secret not even the Prime Minister knows about. Who is really running the country? 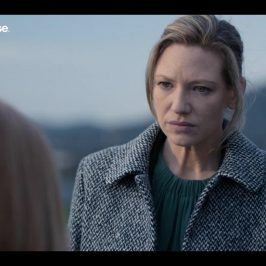 Secret City: Under the Eagle has been written by Matt Cameron (writer/co-producer/creator- Sunshine, writer/producer/creator- Jack Irish) and Belinda Chayko (showrunner/writer- Safe Harbour, story producer/writer- Barracuda) who both wrote for the first series and playwright Angela Betzien (Eggs, The Hanging) and Elise McCredie (Sunshine, Nowhere Boys). Stephen Corvini (Safe Harbour, Hyde and Seek) will produce the series. 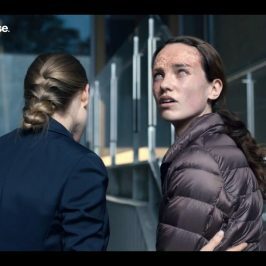 Executive Producers are Foxtel’s Head of Drama Penny Win and Drama development executive Carly Heaton, Penny Chapman from Matchbox Pictures and the series showrunner Matt Cameron. Secret City: Under the Eagle will be directed by Tony Krawitz (The Kettering Incident, Devil’s Playground) and Daniel Nettheim (Doctor Who, Broadchurch). 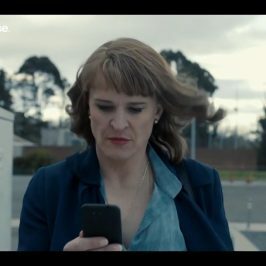 The first series of Secret City was inspired by the best-selling novels The Marmalade Files and The Mandarin Code, written by political journalists Chris Uhlmann and Steve Lewis who join this series as story consultants. 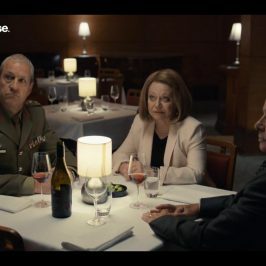 Secret City: Under the Eagle is a Matchbox Pictures production for Foxtel, supported by Create NSW and Screen Canberra. 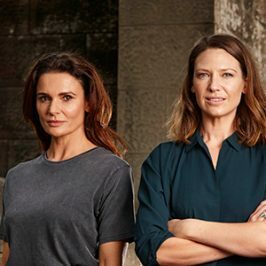 The six part series will screen on Foxtel’s super drama channel, showcase. NBCUniversal International Distribution will distribute the series worldwide.